Did you know the DOORS ARE CLOSING at 5 p.m. sharp tomorrow on registrations for the Tri-Annual Practice Enhancement Retreat, which happens October 21-23 in Phoenix? If you are even remotely considering making the event happen, you MUST reserve your seat (and hotel) today. The hotel has extended our room block TWICE, and there are only a few rooms left before the entire hotel is SOLD OUT. We honestly will not be able to work our magic once they're gone. Intense 90-minute focus sessions on legal technical, marketing, law firm operations, team training, trust drafting, cloud-based CRM workflow systems and MORE! Creating your Money Plan law firm retreat. A personal and professional development day. Hands on guidance and laser coaching for your firm from the LWP team, including Dave Zumpano, Molly Hall and Victoria Collier. In my experience, when the timing couldn’t be worse, is the very reason why you need to be in the room. Maybe your business isn’t booming and you’re drowning and you don’t know when that will stop, or maybe a team member just quit, or possibly you have a team member you’re on the verge of firing, or cash flow is down, etc., etc., etc. “Reasons are the cemetery of your dreams.” Reasons that emerge from any rendition of the above are the very reason why you need to be in the room. This post is an installment in the Focus on Forms series, which considers and discusses some of the most common forms associated with Department of Veterans Affairs (VA) pension claims. The goal of this post – like all those in the Focus on Forms series – is threefold: to define the purpose of the forms; to discuss how they should be completed; and to recommend what to file with these forms. Today’s subject is the forms related to third parties that may be involved in a pension claim, specifically, the 21-22a and the 21-0845. The VA forms 21-22a and 21-0845 are used to establish representation of a claimant by a third party and authorize the release of information to a third party, respectively. The VA does not recognize Powers of Attorney and will only speak or release information to a claimant unless a third party has been recognized by the VA as the claimant's authorized representative or recipient of personal information. The only other person who would be able to communicate or obtain information from the VA regarding a claimant would be the person appointed as fiduciary after an award has been adjudicated and when a claimant has been deemed incompetent. These forms do not have any impact on the processing of the VA claim other than to identify to whom the VA can disclose information. If there is no third party representing the claimant, these forms do not need to be submitted to the VA.
Form 21-22a is entitled, “Appointment of Individual as Claimant’s Representative” and is to be used by accredited attorneys, accredited agents, private individuals, or service organization representatives who want to be recognized in the “preparation, presentation, and prosecution of claims for VA benefits for a particular claimant.” It is a two-page form with instructions embedded in the fields. The individual named on this form should be copied on all correspondence issued by the VA regarding the claimant. Form 21-0845 is the Authorization to Disclose Personal Information to a Third Party and was recently updated by the VA. The current version is dated May 2015 on the lower left corner of the form. The new version is available in the latest release of the Lawyers with Purpose VA software. It consists of a single page with an introductory first page of general information and specific instructions. It is used to identify non-accredited third parties that can be given information about the claim, but it does not imply that these parties in any way “represent” the claimant. For example, a child, home health care company or assisted living facility may be listed as having authority to obtain information. Note that forms 21-0845 signed by VA beneficiaries who have been deemed incompetent will not be accepted. Therefore, it is best practices to have the claimant sign this form before submitting a claim for benefits, which is a time frame wherein the VA presumes the person is competent. Both of these forms are fairly straightforward. Per the Respondent Burden field in the upper right corner of these files, they should each take no more than 5 minutes to complete. This is an accurate assessment. What is likely to take more time on the VA form 21-22a is getting all the necessary signatures in the appropriate places. It can be confusing, but the claimant and the representative each sign twice – once on each page. Most of the other fields are self-explanatory. An important feature that may easily be overlooked on the 21-22a is a cleverly hidden field that has no number. It is on the second page in the section called “Conditions of Appointment.” The very fine print here indicates that if the individual named on the form as representative is “an accredited agent or attorney, this authorization includes the following individually named administrative employees of my representative.” In the space that follows, you may list all such non-accredited team members who may need to call the VA regarding the status of a claim. The 21-0845 has similar fields to those in the 21-22a, with the notable exception that the latest version of the 21-0845 now sports the individual character boxes to aid the VA in computer processing of forms at intake. The 21-0845 also allows you to select a security question and answer that you may need to provide as confirmation that you are the person identified when you telephone the VA. There is nothing in particular that is required to be filed with either of these two forms. They both should be submitted with an Intent to File a Claim or the Fully Developed Claim. They should also be included with any other correspondence you may need to address to the VA, particularly when the third party is the individual signing the correspondence. The individual appointed as the claimant’s representative on the form 21-22a will automatically be authorized to receive the information accessible by the form 21-0845. So you may ask, why file the 21-0845 in addition to the 21-22a? Some VA call center agents employ the extra security layer provided by the form 21-0845 and will require the response to the security question before they release any information over the telephone. Furthermore, you cannot have more than one 21-0845 on file with the VA at any one time. By filing one with your client’s claim, you ensure from the outset that your firm is the only third party with access to that claim information. Subsequent 21-0845s that are filed will not replace the active one on file until the claimant has notified the VA that he/she wishes to withdraw it. As mentioned above, neither of these forms will directly affect the adjudication of a pension claim, but when in place they allow you to manage the claim more effectively. Without the powers these forms bestow, you are dependent on receiving information secondhand and perhaps not in a timely manner, which can in turn lead to unnecessary denials. If you want to sharpen your VA technical legal saw, we offer a free "VA Tech School" webinar the first Wednesday of every month. Click here and join us on Wednesday, October 7th at 12 EST. This month's topic is "Denied Benefits Due to Transfers of Assets: How to Appeal and Win!" Register today! Victoria L. Collier, Veteran of the United States Air Force, 1989-1995 and United States Army Reserves, 2001-2004. Victoria is a Certified Elder Law Attorney through the National Elder Law Foundation; Author of “47 Secret Veterans Benefits for Seniors”; Author of “Paying for Long Term Care: Financial Help for Wartime Veterans: The VA Aid & Attendance Benefit”; Founder of The Elder & Disability Law Firm of Victoria L. Collier, PC; and Co-Founder of Lawyers With Purpose, www.LawyersWithPurpose.com. Is Your Practice ... Uhmmmm, Easy? Many lawyers are frustrated when it comes to operating the "business" of their practice. Law school taught us how to think critically and help people, but it did not teach us how to run a business. As a result, much pain and long hours of work and frustration are created. Balancing the needs of your clients and operating your business is one of the most frustrating elements of running a law practice. The good news is, fixing it is not hard, it just requires a basic understanding you never got in law school. Let's begin by identifying whether you have effective employees. The interesting thing is, for those individuals you reach out to for help, it's really easy for them, which amazes most attorneys because we don't get it and it's so frustrating to us. (I personally hate it.) But for those who have the skill set, it's easy and it occurs! So as you look around your practice, if there's an area causing you pain, it is a clear message that you lack someone with a natural skill set to perform that task or duty. If drafting is not happening effectively, then you need to get someone who does it easily. They're out there and you can't stop until you find someone, because once you do, your life and your practice will change dramatically. In building companies over the last 15 years, the level of pain I have endured along the way sometimes was unbearable. But now, as I have reached a point where many of those companies are operating without me, I look back at what the key issues were that I had to overcome. The answer? It all came down to skill set and ease! What was difficult and frustrating for me was very easy for other people with the right skill set. To identify what five skill sets you need, your role and what roles you need to fill to support you, join us at our Tri-Annual Retreat in October. So the stress of running your business can subside and you can focus on what you do best and what is "easy" to you, and leave the other roles to the people who find them "easy" to do. Doors close October 2nd and we will NOT have any seats remaining, I promise you that!. It's not hard. Let Lawyers with Purpose show you how. Click here to register now. I don’t know about you, but when I hear the term “ground zero,” I think about the World Trade Center and September 11. Like many, I watched it on television as it was happening. It changed our world and our daily lives, even today, years later. I had the benefit of visiting Ground Zero recently. The reflecting pools are a beautiful tribute to the men and women who died there. How is that relevant to you today? The term ground zero has a broader meaning – the point of a disaster that suffers the most severe damage. For me, it also means starting over, often from the ground up. As with the terror of 9/11, recovering and starting over can be devastating. But, beginning again can be a fresh introduction to opportunities not yet discovered. Rebuilding with knowledge and experience from the past can create stronger futures. Again, how is this relevant to you? Consider a few scenarios. Losing an employee: Every day I get compliments from clients about how wonderful my receptionist is. She truly is and I love her. She knows my quirks and anticipates my next need, and then fulfills it. But she won’t much longer, because she gave me her “notice.” She’s moving on to her higher calling. While I support her completely, I am devastated because I have to start over. Begin again. New interviews. New training. New personality. Ground zero. It will be hard and I don’t like the thought of any of it. However, I know that when I hired my assistant two years ago, I went through the same thing, and hiring her made my firm stronger, as will hiring our new candidate. Terminating a partnership: Working as a sole practitioner is hard. Making a business work with partners is even harder, in my opinion, and I’ve done both very successfully and unsuccessfully. When you are alone, you can make all the decisions, good or bad. You own your successes and your failures. When you have a partner, you share a lot but usually don’t have total control of anything. It’s like a marriage. You give to get and weigh the benefits and consequences of each decision and action. Like marriages, partnerships may end in the big “D” – dissolution. Where do you go from there? From Ground zero? What is your Ground zero? What makes you feel as if you have to “start again?” Do you run, hide, or give up? You can, or you can find the new opportunity. Release the inhibitors of the past. Find the strength and grow from the experience. Build something bigger, stronger and better. Visit Ground Zero and find the blessing in the tragedy. Build your Freedom Tower. If you haven't registered for our Tri-Annual Practice Enhancement Retreat, there's still time. But hurry! The hotel is actively working on finding us an "overflow hotel" since there are only a few rooms left at the event hotel. Click here to register. I'm intrigued with how many lawyers use Medicaid-qualifying annuities when doing crisis Medicaid planning. Medicaid-qualifying annuities address a core issue in crisis Medicaid planning for applicants with excess resources. The annuity acts as a “spend down,” which often leads to immediate eligibility for the client. The promissory note has the exact same impact and use in this fact pattern, but interestingly, it is used less often, even though it’s much easier to achieve eligibility, which will disqualify the individual for benefits for a period of time. The question becomes which to use and why. The Omnibus Reconciliation Act of 1993 (OBRA) was the first legislation that began to set parameters for annuities to be Medicaid-qualifying. Essentially, it requires the annuity to be irrevocable, non-assignable, to have no cash value, and to be payable over the life expectancy of the annuitant. The Medicaid-qualified annuity rules are further enhanced by the Deficit Reduction Act of 2005 (DRA), wherein it also required that all annuities must have equal monthly payments with no delay in or balloon payments, and the annuity must name the state as the irrevocable beneficiary after the death of the annuitant. This significantly reduced the use of Medicaid annuities as a spend-down strategy to only married applicants, but it still allows them to be used in a crisis case to become “otherwise eligible” and use the annuity funds to be used for payment of long-term care costs during any disqualification period created by any uncompensated transfer. DRA 05 also provided the first legislative permission for Medicaid-qualified promissory notes. DRA specifically provides that a loan to a third party by a Medicaid applicant will be deemed as a compensated transfer if it is irrevocable and pays over the life expectancy of the applicant. Essentially, DRA 05 permitted every individual to create a private annuity. The one risk, however, is that the statute does not require a promissory note to be non-assignable, so if it is assignable, it will be a countable resource in determining Medicaid eligibility because it is saleable and has a value. To avoid this, ensure that your promissory note is non-assignable. So the question becomes, if you can do your own promissory note, why would you ever use a Medicaid-qualifying annuity? The answer comes down to your state's application of the DRA 05 laws regarding promissory notes. While the federal law is clear that they are permissible, some states still don't permit them and count them as an available resource in determining the eligibility of a Medicaid applicant. This perplexes me, as federal law is clear, and under federal law, the state law cannot be more restrictive than the federal law. Most states that have taken a position against promissory notes have seen that position overturned by legal proceedings, whereas many states that do not permit promissory notes have not been effectively challenged. Notwithstanding, as estate planners we are not litigators, and we strive to avoid litigation. So if your state does not permit promissory notes, then the path of least resistance is using Medicaid-qualifying annuities. When given the choice, a promissory note is easier, it can be done within the confines of your own office and it can be customized to the individual needs of the client, whereas Medicaid-qualifying annuities are typically restricted by the minimum period of time required by the insurance companies (typically a 24-month payout). To learn how to effectively use a Medicaid annuity versus a promissory note, let LWP show you. We still have a few spots left in the room at the Tri-Annual Practice Enhancement Retreat but register now. Registration closes October 2nd and we WILL reach capacity ... (we always sell out)! If you're an estate or elder law attorney, you don't want to miss this! Click here to register now. FREE WEBINAR: Want to relieve your fears about money? Where is the revenue that I need coming from this month? Will there be enough to be comfortable, or have extra, after meeting all of my obligations? What would I do if an income stream dried up in the future? What if the money runs out? How can I increase revenue in a certain area…and FAST? It’s natural and perfectly OK to have these thoughts and concerns. What’s NOT OK is when your anxiety about money starts causing you to make important decisions from a place of confusion and fear. A self-sabotaging mindset in this area will literally stop money from coming in. You might even finding yourself hoarding money, instead of investing in staff members or resources that will actually help expand your practice, all because you are afraid of not having enough now, and in the future. I honestly believe this is the number one reason why law firms fail to grow. Here at LWP, we would be doing a disservice to you if we didn’t teach you how to fix your toxic relationship with money as it relates to growing your practice. That’s why we have made the decision to change the format of our “Why Day” this quarter to dig deeper into your money goals and needs to help you start accumulating the wealth you desire from a place of freedom and confidence. Our mission is two fold: Once we get YOU clear and focused on your fool-proof money plan, we’ll then empower your team—from the secretary to the associate attorney—to get their skin in the game and work SMARTER to hit the revenue and financial goals of your law firm each and every month with grace and ease. Truly, I don’t care what “bright and shiny objects” you are chasing or how much marketing you are doing, or how smart you are, if you don’t fix your relationship with money, your firm will never grow to it’s full potential—which is a disservice to you, and your local community that needs you. Let’s work together to get you back on a winning track. Get signed up for “Why Day” at our Tri-Annual Practice Enhancement Retreat. You are going to be blown away by the amazing money coach we have leading the sessions for you and your team. And, as a bonus, our trainer has agreed to host a private webinar to help you identify and start dealing with trouble areas prior to the retreat (happening 9/25) so that we can laser-focus in on profitable solutions and plans for you during our time together. 1. Register now for the retreat if you haven’t already at:retreat.lawyerswithpupose.com. 2. When you are registered (either just now or if you already have a ticket), RSVP for our webinar on 9/25. I have a hunch that if you join us for Why Day, you won’t even recognize your practice, or YOURSELF, by this time next year. It’s going to be life changing. Don’t miss out. 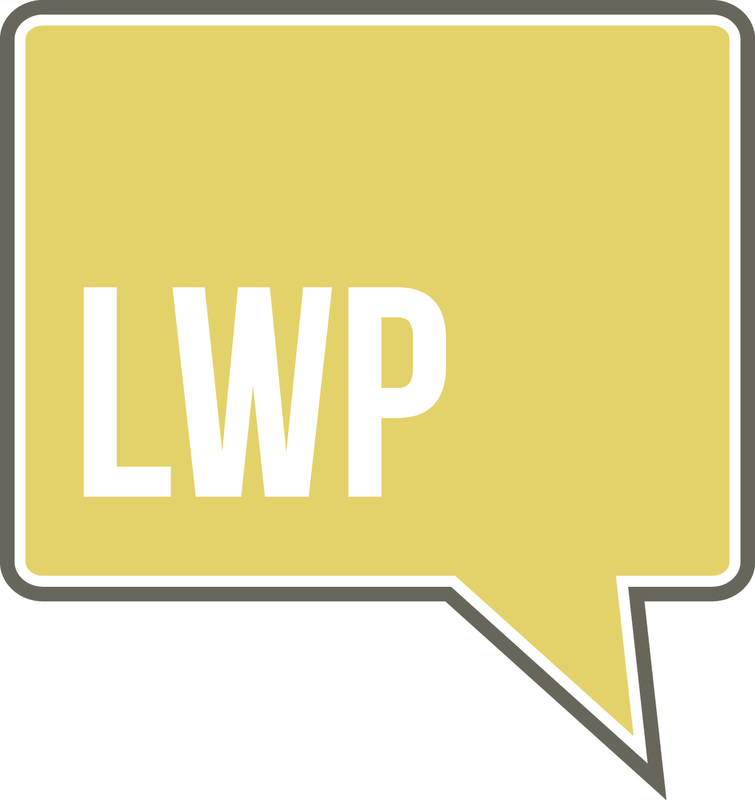 Just a quick reminder that there's only 24 hours left to take advantage of discount pricing to attend LWP’s Tri-Annual Practice Enhancement Retreat, happening October 21-23 in Phoenix, Arizona. Why pay more when you can join us at $500 off, utilize a payment plan? All that goes away tomorrow. The price to attend the Tri-Annual Retreat has been reduced but will jump at midnight, so don't wait to lock your discount in. Day One: My family walked a mile to school for the fourth day of kindergarten. Since I was going out of town, the hugs were a little longer than usual. Before heading to the airport, I also walked my dog, since it would be his last one for three days. The flight was uneventful. I had rearranged my flight to arrive early so I could visit with my aunt in the hospital, where she is undergoing treatment for a brain tumor. Without treatment, the prognosis is six months to live. With treatment, it is 18 months. During our visit, I had to excuse myself for a very challenging business teleconference. When I returned, my aunt was tired. I sat on her bed looking into her eyes for probably the last time; both of us were crying. An hour later, I was overlooking the beach while having dinner with a colleague. Then I went to bed. Breakfast lasted right up until it was time for me to give a 45-minute presentation on veterans benefits for over 100 lawyers. I stepped onto the stage and delivered a strong, fluid speech. Then, I immediately rushed to the airport to catch a flight to New York by way of Georgia, my home state, but I couldn’t stay long enough to see my family. Instead, I spoke with them via Facetime, and my daughter cried because she wanted me to tuck her into bed. I arrived in New York just in time to slip into bed. Sleep was restless as usual, since I have insomnia. How many highs and lows do we have throughout a day? The two back-to back days described above are typical (other than finding out my aunt has a limited time to live). They are typical for me, for my law office team members and for my clients. We all go from one emotion to the next, from successes to challenges, from elated to deflated in moments, without taking time to absorb and reflect. Without taking time to celebrate or grieve. We just stack our emotions on a pile like smashed cars to be recycled. How does running from one event to the next affect our work product? Our customer service? Our communication and relations with others? Our profitability and success? First, recognize that you are running through highs and lows. When possible, try to group high-energy events together and low-energy events together. Second, pause between events for five minutes and sit with the residual emotions of what you just endured. If it was a success, celebrate – even if just in your mind you smile and say, “I did good.” Or allow yourself to get upset and release frustration, if necessary, even if just in your mind you scowl and say, “This is not what I intended. I must do better; I cannot let that happen again.” Then clear it away and prepare for the next event, to be completely present and not affected by the prior event. Third, understand that you are not the only one with days like this. Be there for your team and your clients when they have highs and lows. Support them. Your support will enrich your relationships, which in turn will produce better customer service and work product. Lastly, just slow down and be aware. We see much better when the pace we are traveling is not blurred with speed. There is still time to register for our Tri-Annual Practice Enhancement Retreat - but on time pricing ends FRIDAY! Click here to register today and join your colleagues for what will prove to be a transformation for you and your team that supports you! Join us October 21-23 in Phoenix for THE estate and elder law fast-track training programs, legal tech focus sessions, collaborative panels, action-oriented keynote by our favorite money coach, personalized Law Firm “Money Plan” development day, and much more! Don’t Appeal the VA – Find Another Way! When a claimant has received an unfavorable decision from the Veterans Administration, the first inclination is to appeal. The appellate process can take years to resolve. Elderly seniors seeking the wartime pension do not usually have years to wait, as death could occur at any time. When a claimant dies, the claim usually dies too. Thus, it is critical to speed up the process to get an approval sooner rather than later. A preferable alternative to appealing is seeking a Request for Consideration. This is when a claimant requests that the VA reconsider one of its decisions that has not yet become final. A decision becomes final one year after it is issued. Thus, you must file a request for reconsideration within a year of the original decision. There is no specific form to file a request for reconsideration; however, we recommend using VA Form 21-4138, Statement in Support of Claim. Denial of pension claim for excess income (or only partial approval). To qualify for VA pension, the claimant must meet income limitations. Often, in order to meet the limitations, the claimant has recurring out-of-pocket medical expenses that can be deducted from the income, which then reduces the income for eligibility purposes. When the claim is denied or approved for less than expected, it is usually because either the claimant does not have enough medical deductions or the VA did not properly deduct permissible medical expenses. For example, the VA is to deduct all medical expenses for both a veteran and the veteran’s spouse; yet, the VA often does not deduct the spouse’s medical expenses. In that case, a request for reconsideration is a useful strategy to submit the expenses (again) and request that the VA recalculate the award. Denial of pension with aid and attendance. When a claimant needs the assistance of another person to help with at least two activities of daily living (bathing, dressing, transferring, eating, incontinence/toileting), or needs the regular supervision of another due to dementia (memory loss), then the claimant can receive a supplemental monthly income called aid and attendance. But, before aid and attendance can be granted, the claimant must submit VA Form 21-2680, Application for Aid and Attendance, completed by their treating physician, to the VA. The form must be filled out with very specific language to meet the VA’s standards. When a claim is denied for aid and attendance, it is usually because the claimant either did not submit this form or the physician did not fill it out sufficiently. Getting a new form filled out properly and submitting it with a request for reconsideration will generally garner an approval by the VA. Denial due to excessive net worth. To qualify, the claimant must have limited resources. If the VA denies a claim due to excessive net worth, once the assets are no longer excessive, the claimant may submit verification of the reduced assets and request the claim be adjudicated again. Incorrect effective date of award. When filing for pension benefits, it is important to obtain the earliest effective date possible. The sooner the date, the more money the claimant receives. Under the fully developed claim process wherein the VA requires that the claimant submit all application forms and supporting documents simultaneously, months can go by while waiting to obtain a divorce decree, death certificate or the physician’s affidavit for aid and attendance. Instead of waiting in vain (without getting benefits), the claimant can file an Intent to File a Claim on VA Form 21-0996 to “lock in” the eligibility date. This form should only be filed when the claimant meets all financial and medical criteria but is waiting on supporting documents. Once the supporting documents are in hand, then, subsequent to filing the notice of intent, the claimant will file the fully developed claim. There may be months between the two. Once the VA issues its decision, it may have overlooked the intent to file a claim locking in the effective date and instead award the date from the filing of the fully developed claim. So as not to lose the intervening months, you should file a request for reconsideration with a copy of the intent to file a claim that was previously filed. Although appeals can take several years to resolve, we are seeing that requests for reconsideration are taking less than six months, often only 30 days, to resolve. This is a much better outcome for the client. If you want to learn critical information on building a thriving practice while serving those who serve our country, register for our FREE WEBINAR this Wednesday at 12 EST. Jane, a widow who lives in an assisted living facility, has two adult children who are independent with no disabilities. When Jane’s husband, David, died two years ago, Jane gave each of her children $100,000 without consulting a lawyer. At that time, Jane was living at home and doing well. About six months after David died, Jane began experiencing a series of mini-strokes. The cost of her care is depleting her resources rapidly. The children really want to avoid putting her in a nursing home but are concerned she will need one soon. During your meeting, you naturally raise the possibility of a transfer of assets penalty due to the prior transfers. If you are like many elder care attorneys, you will likely try to find ways for the remaining funds to stretch out during the penalty period. You may even propose that the children return the gifts if possible. It is not possible. Is there anything you are overlooking? Maybe a dormant asset you can utilize? There may be. Have you asked your client if she has life insurance? Term life, universal life, and whole life insurance policies can be sold to pay for care. In Jane’s case, she has a $300,000 policy. She was considering letting it lapse because she can no longer afford the annual premiums. Instead of letting it lapse, let it work for her to pay for care during the Medicaid look-back period. Assuming a company purchases the policy for 40% of its face value, Jane would then have a fund of $120,000, or $3,333 per month for 36 months, to pay for care during the remaining five-year look-back. Jane’s income, added to these additional funds, will be sufficient to cover the cost of the assisted living facility for three years. At that time, the family can feel comfortable and confident about transitioning Jane into a nursing home and applying for Medicaid, if necessary. Lawyers with Purpose is proud to announce that we have teamed up with Life Care Funding to assist lawyers and clients in identifying good situations to fund care! To learn a little more about Life Care Funding for yourself, your team and your clients click here. If you have clients that could benefit from converting a life insurance policy into a long term care benefit click here for the Long Term Care Benefit Qualification Form. Or to learn more this new planning option for seniors, go to www.LifeCareFunding.com. Never hesitate to contact Life Care Funding directly at 888-670-7773 or email info@lifecarefunding.com. Chris Orestis, CEO, will be sharing more information at the Lawyers with Purpose Tri-Annual Retreat, October 21-23, in Phoenix, Arizona. If you haven't registered yet - we are reaching capacity! Register today before pricing goes up and all seats are filled.